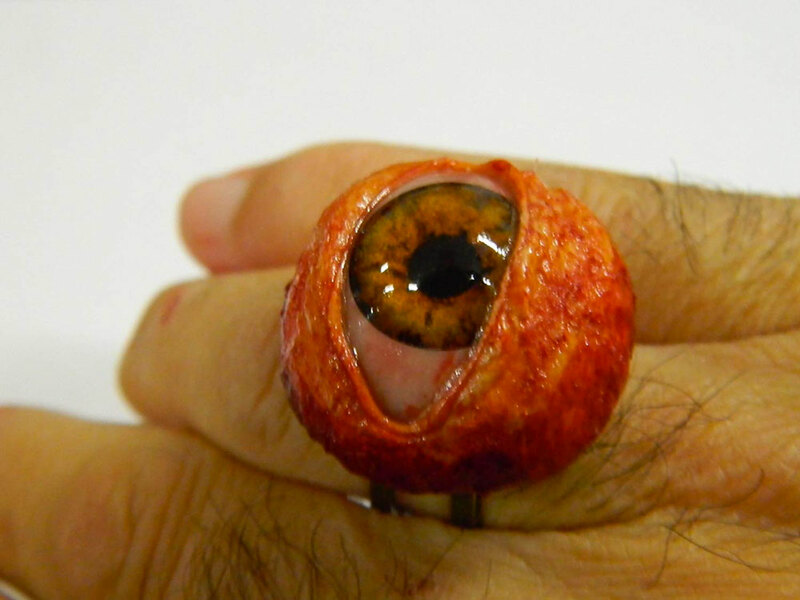 In looking through the listing for this life-size human eyeball ring on Amazon, the first thing I noticed is that it isn't the only life-size human eyeball you can buy on Amazon. I don't know why I was surprised. 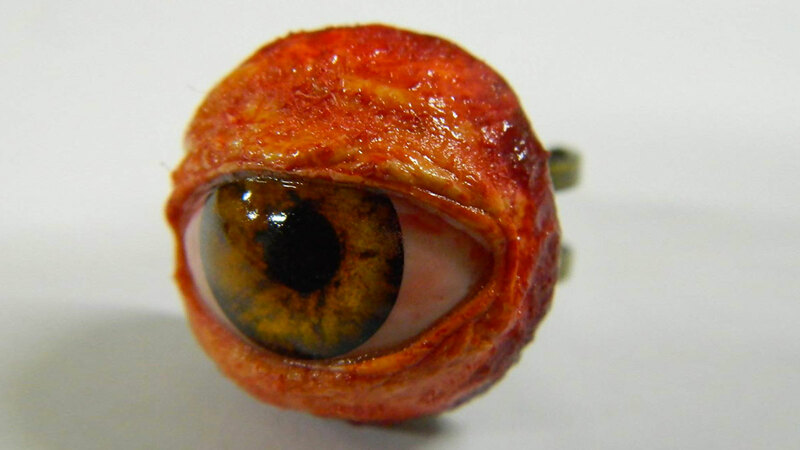 However, Dead Head Props' life-size human eyeball is the only ocular organ that comes attached to an adjustable metal ring for easy everyday wear, and the ultimate gift for your girlfriend that might finally convince her to stop asking you for jewelry all the time. Oh, and if you're wondering what constitutes "life-size" when it comes to human eyeballs, it's 26mm, or about 1" in diameter. Muchas danke to 7 Gadgets.